Wednesday, March 8th is “A Day Without a Woman,” a national day of action where women and allies will strike from paid work, refrain from domestic work, and boycott certain businesses. Women are using their absence to highlight the continued lack of equality, including the persistent and pervasive gender wage gap. Women in the workforce have increased their educational attainment, yet women’s pay lags men’s at every level of education. 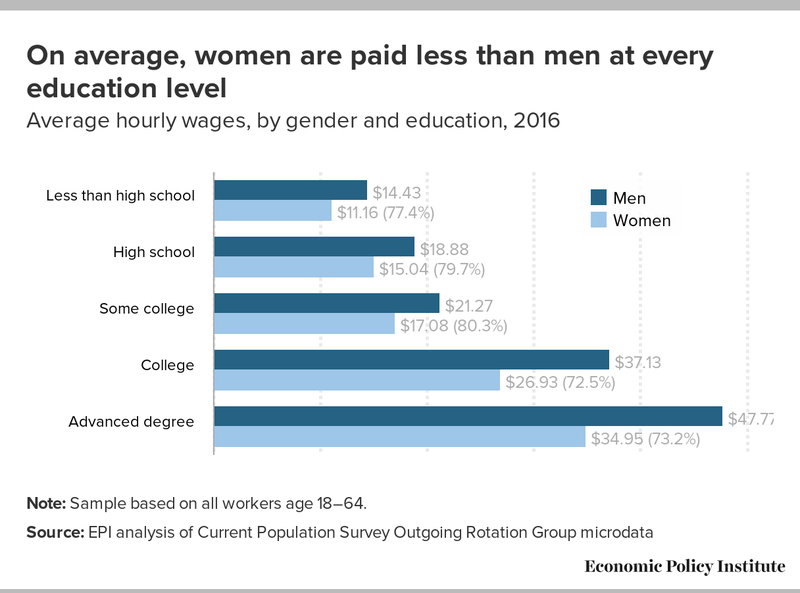 Women with a high school degree are paid around 80 percent of what men are paid and women with a college or advanced degree are paid just 73 percent. Furthermore, women who hold advanced degrees are paid even less than men with bachelor’s degrees. Note: Sample based on all workers age 18–64. On average, women workers with a college degree are paid $10.20 less per hour than their male counterparts. Using annualized wages, the gender pay gap for the average woman with a college degree costs her $21,216 every year. We need to create an economy that works for everyone, starting with the policies on the Women’s Economic Agenda. EPI’s gender pay gap calculator shows what you could be making in a more equal economy and illustrates how rising overall inequality has hurt nearly all workers—women and men alike. How do gender and inequality affect your pay? 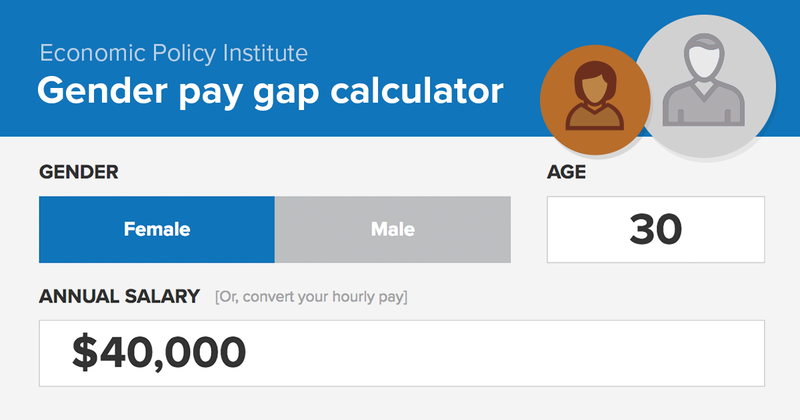 Try out the Gender pay gap calculator!